The following interview was published in Issue #19 (Summer 1997) of “The Barricade” – the international newsletter of Les Misérables. 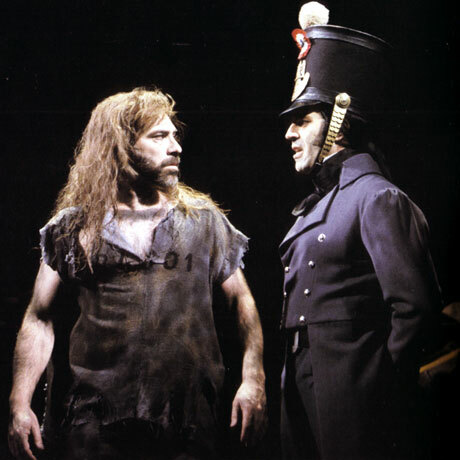 Jean Valjean is one of the most difficult and demanding roles in contemporary musical theater. Few actors possess both the vocal prowess and the acting skills to undertake such a challenge even once in their lifetimes. Of course, there are notable exceptions to this convention, and Robert Marien is one of them. The multi-talented French-Canadian musical theater performer has played this heroic figure in major cities across the world: Paris, Montreal, London and New York. He is also a gifted composer, director and producer with an extensive list of stage, television and composing credits. Marien, 42, was born in Montreal and he trained as an actor in Quebec from 1974 to 1977. “I was extremely busy when the auditions for Les Mis were being held. I was shooting a TV series, rehearsing a play and doing some voice-overs,” Marien remembers. He was initially denied a chance to audition for the role due to unforeseen circumstances. “I was totally upset and angry, not to mention extremely disappointed and discouraged, as I couldn’t believe that I wasn’t given a chance to prove my talents to the production team,” he says. Fortunately, Marien managed to get a “reprieve,” and he was granted an audition the next evening. Alain Boublil and Claude-Michel Schönberg were both present during Marien’s second audition. He sang ‘Who Am I?’ and ‘Bring Him Home’ in English. “Alain then gave me the lyrics for ‘Comme un home,’ and when I finished singing the song, they were all crying,” Marien remembers. The result of his audition was a foregone conclusion: He became the first actor to play Valjean in English and French. 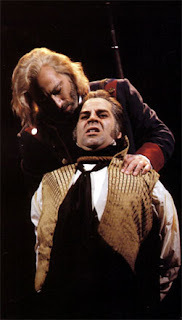 Marien’s first Les Mis engagement also bears a personal significance, as he was offered the role on his 35th birthday. The Montreal production ran for six months, and after a short break, he led a new Canadian company on a three-month summer tour in Winnipeg and Ottawa. Marien was then schedule to make his Broadway debut in the same role, but there was a greater need for his talents in the birthplace of Victor Hugo’s 19th century epic novel. “I was at [Les Mis associate director and executive producer] Richard-Jay Alexander’s home because he wanted me to reprise the role of Valjean on Broadway, when I received a phone call from Cameron Mackintosh, asking me if I was available to lead the Paris production,” Marien says. “I agreed to take part, so I flew back to Montreal, packed my bags, returned to New York and took the Concorde to Paris.” Marien got acquainted with the rest of the company then joined them for the remaining four days of rehearsals, followed by the dress rehearsal, the previews and the opening night. “I attended rehearsals in the daytime and spent the nights learning the new lyrics,” he says. The French production carries a sentimental meaning for Marien because it reunited him with musical director David Charles Abell and two other cast members, Louise Pitre and Stephanie Martin, who were reprising their roles of Fantine and Eponine, respectively. Marien fondly recalls a poignant moment during his first performance in Paris: “As I took my place beside Louise and Stephanie in ‘The Finale,’ I looked at Louise and she was crying. I then turned to look at Stephanie; she was also crying, and I was crying too. I will never forget that moment. It is one of my most treasured memories.” Despite the reluctance of the French public to embrace Broadway-style musicals, the Paris production settled in for a healthy seven-month run at the Theatre Mogador and received the prestigious Moliere Award for Best Musical in 1991. Marien’s decision to accept the offer also meant he had to shorten his six-month stay in London by three weeks. He returned to Montreal for a brief respite before heading to the Great White Way for five weeks of intensive rehearsals with the newly assembled New York cast. He made his eagerly anticipated Broadway debut with the Broadway Tenth Anniversary Company on March 12, 1997, where he was rapturously received by the opening night audience and the American theater critics. This analytical viewpoint adds gratifying depth to Marien’s interpretation of the role, as he traces the character’s transition from convict and a beast who is redeemed by his conversion to Christianity to an intelligent man who works hard to become a successful businessman and a respected mayor – and, later, Cosette’s guardian and Marius’ savior. Throughout his performance, the continuous personality transformation is reflected by subtle changes in Marien’s voice and body language. Does his approach to ‘Bring Him Home’ vary with the language of the lyrics? 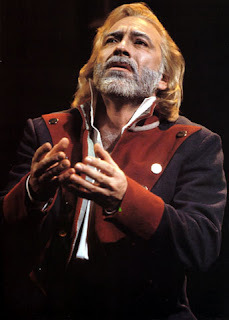 “Whether you sing the song in English or French,” he responds, “you have to evoke the same emotion.” Marien demonstrated this point clearly during his final London performance: He started ‘Bring Him Home’ in English, then switched spontaneously to French after the first verse, maintaining the emotional intensity right to the end and holding the last note for what seemed like eternity, complete with his trademark crescendo. The audience remained silent for a moment, then burst into sustained applause. Marien also believes that every scene has its own special element. Musically, however, he concedes that he has favorite moments. As an accomplished musical theater performer, Marien maintains a deep and profound respect for his audience. “When I’m on stage, it doesn’t matter who is in the audience. Whether it is the opening night audience or not, I don’t mind.” His appreciation for the audience is embodied in a simple yet heartfelt gesture during his curtain call: When he takes his bow, he always clasps both hands firmly to his heart – a symbol of his gratitude for the applause and the standing ovations. The applause gives him both encouragement and motivation, he says, and he “carries this applause ... into the next performance.” Marien also pays homage to Lucette Tremblay, his voice coach since 1990, for showing him how to convey emotions through his voice. Marien’s numerous Les Mis engagements have given him the opportunity to work with a variety of talented musical theater performers. He is quick to praise Michael McCarthy, his on-stage nemesis in London; Louise Pitre, Stephanie Martin and David Charles Abell. In return, Marien’s overriding dedication to his craft has earned him the respect and admiration of his peers. During an evening performance in London last November, Marien developed a throat infection halfway through the first act, but he insisted on continuing after the intermission, even though he was out for the next few days. Although Marien has long been regarded as Canada’s preeminent musical theater performer, he often laments about the lack of a strong musical theater tradition in Montreal. He has gone to great lengths to instill an awareness of musicals among the Canadian public, especially in the younger generation – an effort he describes as “sowing the seeds of musical theater” in his native Quebec. His biggest achievement to date has been Broadway-Montreal, a musical revue featuring selections from classic musicals such as Les Mis, The Phantom of the Opera, Nelligan, Gala, Miss Saigon, Hair, Kiss of the Spider Woman, Sunday in the Park with George, Evita and Starmania. Marien, who produced and directed the show, was accompanied by Stephanie Martin, Brigitte Marchand and five musicians under the direction of Simon Leclerc, who played first keyboard and served as Assistant Musical Director in the Montreal production of Les Mis. Both musical theater aficionados and the Canadian public embraced Broadway-Montreal, which ran for 40 performances in the summer of 1994. The show played to full houses, and by the end of its run, at least 25,000 people had attended. The concert-style performance wsa also hailed a critical success by the Canadian media. Pat Donnelly of The Gazette observed that “the revue has won over the hearts of the Canadian public.” Jacques Lemieux of CGFL declared: “Broadway-Montreal is a show where one is conquered by a sweeping passion.” Serge Bélair of CKVL commented that “the show is simply ravishing from start to end.” Highlights from the revue have been immortalized on Marien’s debut solo album, also titled Broadway-Montreal (FIRMA FM 2 0001), which he co-produced with Leclerc. Despite his work commitments, Marien is actively involved in social work. He has served as a spokesperson for various charitable organizations including Le Centre Pierre-Henault (supporting AIDS patients, their family and friends), Missing Children’s Network and Badly Burnt Persons (a firemen’s foundation). What does he see himself doing in the near future? “I would like to play the title role in The Phantom of the Opera, especially in its native language, since there has yet to be a French production,” he replies. Marien already holds the competitive edge over his rivals, due to his affinity with the score and the language: He performed ‘The Phantom of the Opera’ and ‘Music of the Night’ in Broadway-Montreal with his own French translations.